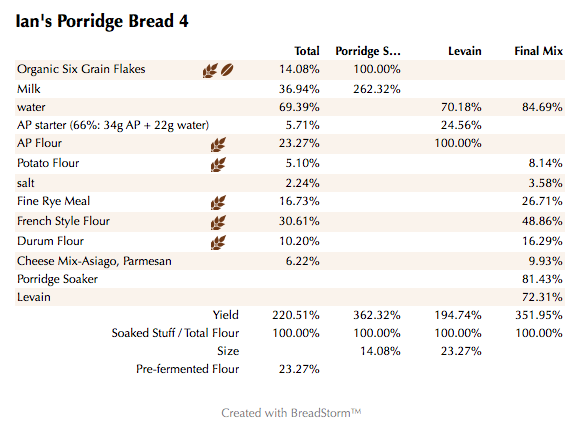 If you haven’t tried making a porridge bread yet then what are you waiting for?? There is nothing else like it and if you like a nice creamy soft crumb chock full of flavor than you’ve come to the right place. 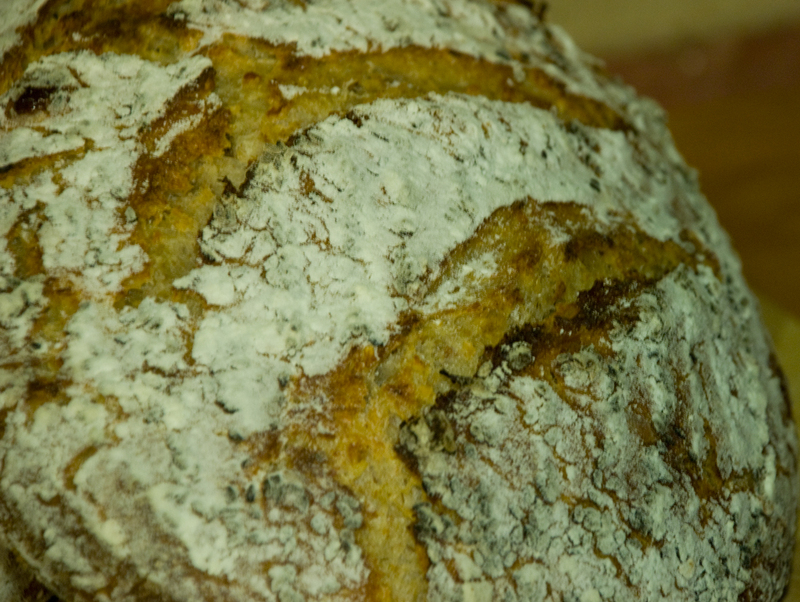 For this version I used some French type flour from KAF, Potato flour, along with some fine Rye flour I had left over from my Rye Book testing. I added some Durum flour as well since I love the nutty flavor it imparts and for good measure some shaved Asiago and Parmesan cheese. 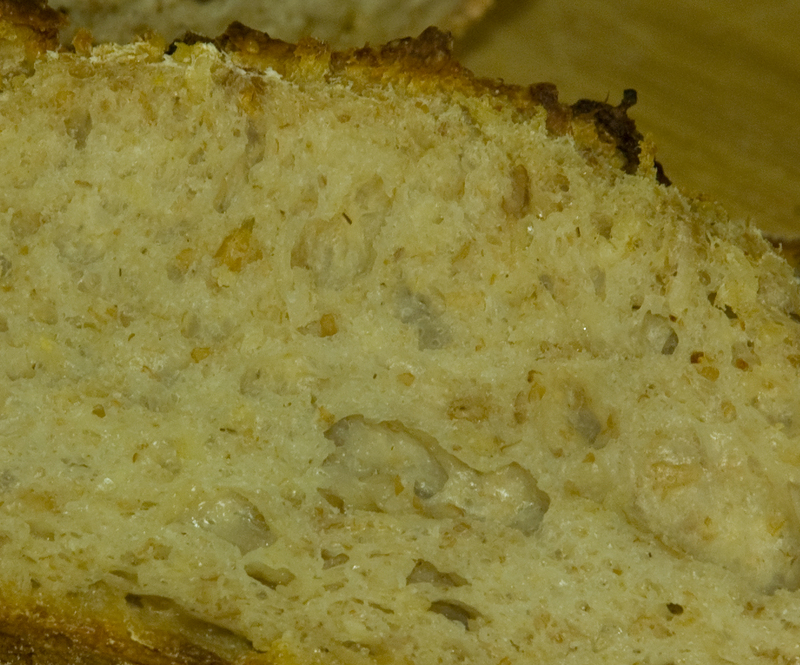 One thing to note is that the shaved cheese reacts much differently in the flavor profile of a bread than adding cubes since it kind of melds into the overall dough and imparts a cheese essence. 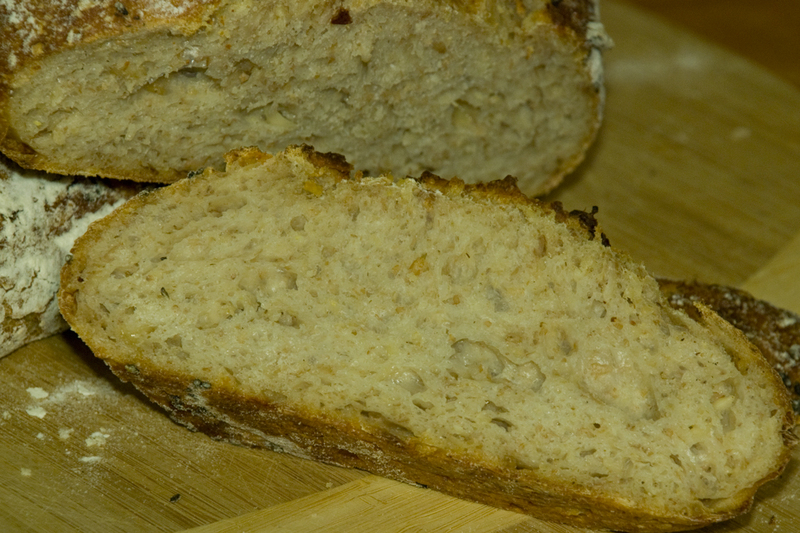 For this bread it worked out perfectly and combined with the 6 Grain Flake mixture from KAF (oat, wheat, rye, barley, kamut, and rice flakes), the final bread was perfect with a moist open crumb and creamy texture you only get from a porridge bread. Mix the flours and the water for about 1 minute. Let the rough dough sit for about 20 minutes to an hour. Next add the levain, cooled porridge and salt and mix on low for 4 minutes and speed #2 for another 2 minutes or by hand for about 6 minutes. You should end up with a cohesive dough that is slightly tacky but very manageable. Remove the dough from your bowl and place it in a lightly oiled bowl or work surface and do several stretch and folds. Let it rest covered for 10-15 minutes and then do another stretch and fold. Let it rest another 10-15 minutes and do one additional stretch and fold. After a total of 2 hours place your covered bowl in the refrigerator and let it rest for 12 to 24 hours. (Since I used my proofer I only let the dough sit out for 1.5 hours before refrigerating). Note: this is a pretty wet dough so you may need to do a couple of additional stretch and folds. 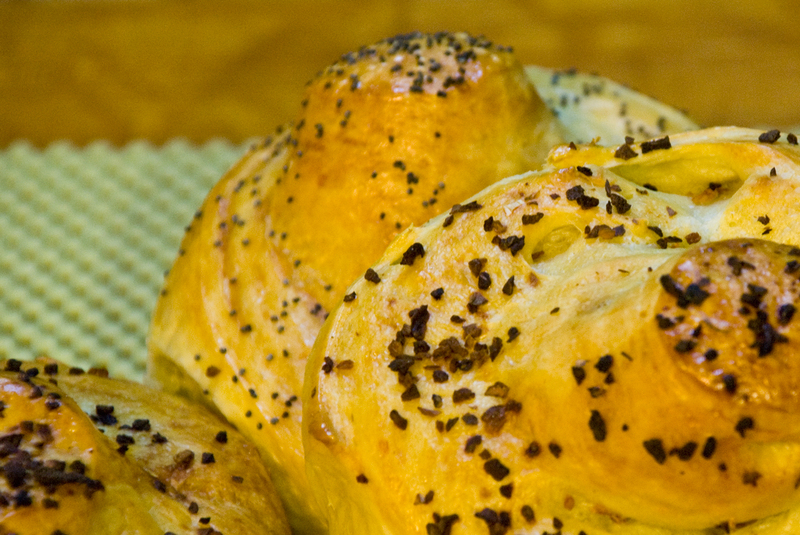 I love this basic formula that Karin came up with for these German style rolls. I’ve made a Yeast Water version and a Sourdough version with great success. 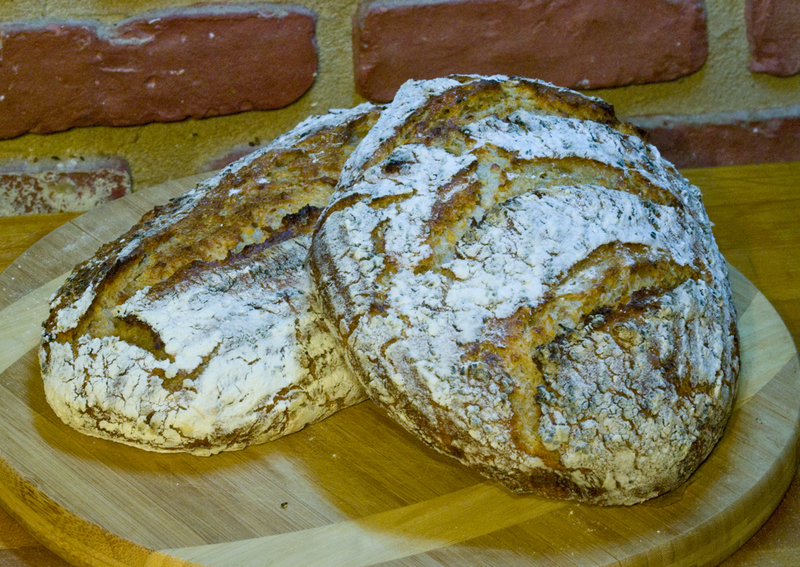 I have been baking so much rye bread lately as a recipe tester for Stan’s new book, yet to be released that I needed something lighter. My Yeast Water starter is no more and my SD starter was not refreshed, so IY would have to do. On another note, my wife and I were very excited to find out they were opening up a new German restaurant in our revitalized downtown area in Patchogue, NY. We were eagerly awaiting it’s opening and the other night we accidentally discovered that it was open after our original destination was closed for a private party. All I can say is after eating there it will be the last time I set foot inside. I can’t wait to go back to our favorite German Restaurant, The Village Lantern and eat some real authentic style German fair, and not the poor excuse for German food from this dreadful imposter. Anyway, back to these German style rolls, which by the way blow away the pathetic attempt at Pumpernickel rolls they served at the aforementioned restaurant. 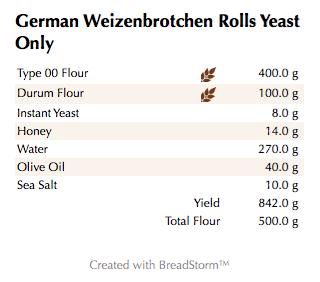 I pretty much followed Karin’s original formula from her blog, but to make things interesting I replaced part of the 00 flour with Durum flour which is one of my favorites. I also decided to try an interesting shaping technique to create the tower effect by using a small doughnut cutter. Immediately after shaping the dough into rounds I pressed the cutter almost to the bottom of the dough. I thought the final result was pretty cool, but it does make it difficult to toast them :). I used some smoked sesame seeds, toasted onions and poppy seeds for the toppings after applying a double egg wash. 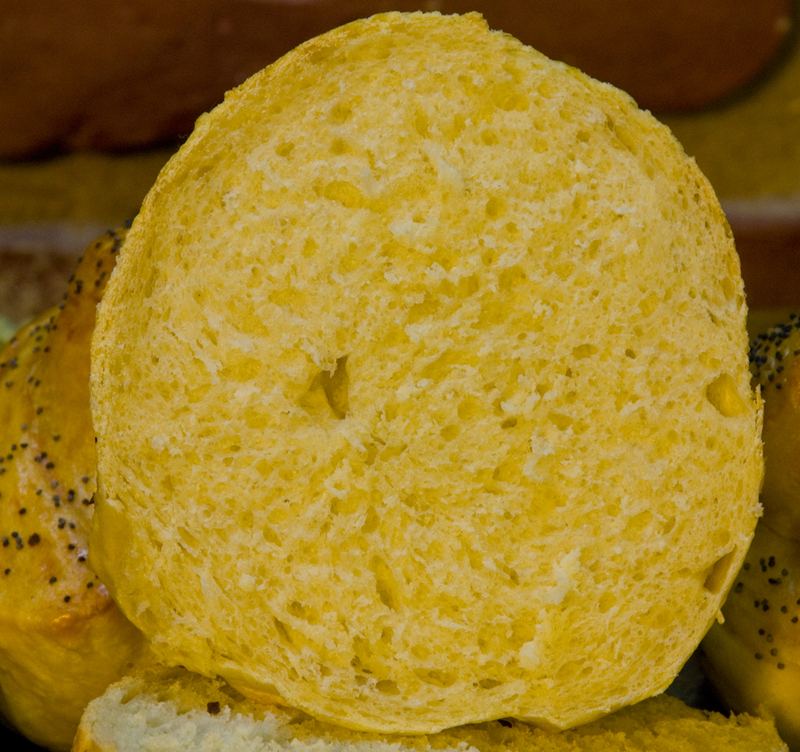 The Caputo 00 style four really makes these rolls light and airy and the little Durum flour adds an extra nutty flavor and yellow crumb. Happy New Year to all of my family, friends and baking buddies and followers. 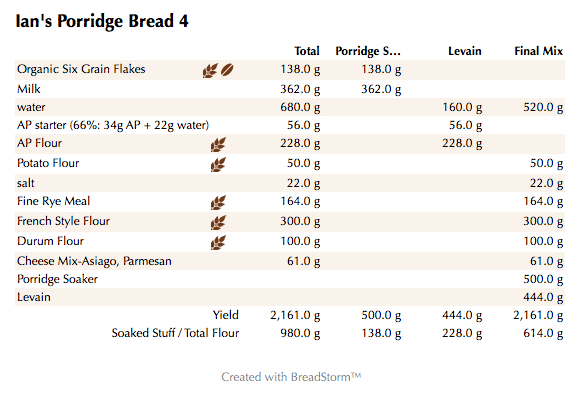 You can download the BreadStorm formula here.